To some millenials, that famous track by rapper Wiz Khalifa is more than just a sing along. It’s a way of life. Sure, it is fun to explore and do outrageous things while you are young. There’s travelling to places you’ve never seen, probably investing on your first business venture, buying your own car and of course, taking lots of risks. After all, you are entitled to have fun because you are free. But let this sink in for a moment: are you prepared if something happened to you? That is where insurance comes in. But as a young professional, how educated are you when it comes to non-life insurance? Do you think that this is only for the privileged, educated and elderly? Availing one at an early age may not sound like the coolest thing but I tell you, it will be of great help to know that you are secured along the way. Got your first car? Then better have it protected against problems like damage or theft. Investing on your own pad? Have it secured against various perils like fire and lightning among others. Travelling to a far distance? Enjoy it without a hitch. Explore, travel more and worry less. Most importantly, protect yourself by getting a Personal Accident Insurance so you can enjoy your #YOLO lifestyle. Now, does non-life insurance sound appealing to you? If you are worried about the cost then don’t worry because availing one will not cost you an arm or a leg. You’ll be surprised on how affordable it is. Gone are the days of availing insurance through long lines and telephone calls. You may get one right at your fingertips using your gadget. Whoever said that insurance can’t evolve, right? For your non-life insurance needs, there’s a “lodi” company that’s here for you. 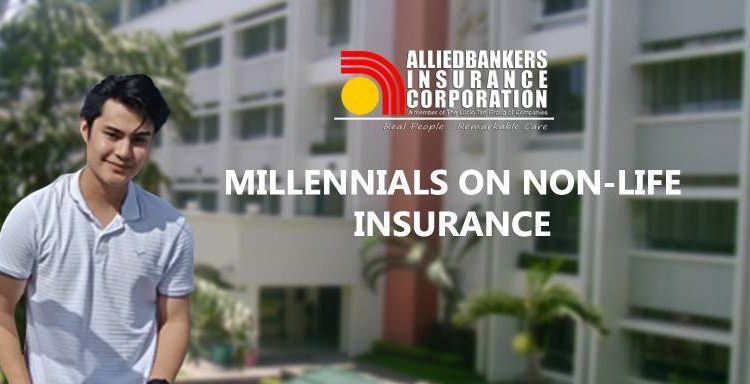 Get your protection from Alliedbankers Insurance Corporation! Visit our website at: www.alliedbankers.com.ph or call us at (02)243-0075.